Born in Guernsey, Ben started his electrical apprenticeship with a commercial installations company and through the College of Further Education, Ben has attained his City and Guilds and 17th Edition. From there he has gathered extensive knowledge on electrical, fire & security, generator and UPS installations working for a local alarms, UPS and generator specialist. He then went on to work for a local FM company and acquired more knowledge on commercial installations, being the trouble shooter for the electrical services department. 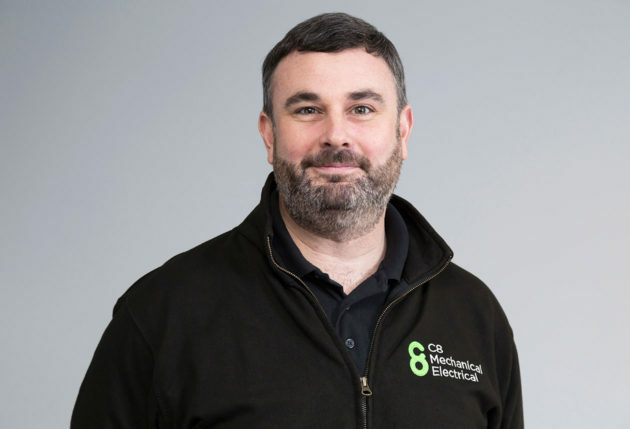 Bens experience and knowledge on specialist electrical systems bolsters C8’s capabilities it can offer to its clients.